As the weather gets colder and my schedule gets busier, I crave things like soups, stews and chili which are easy to put together, freeze well and last me for ages! 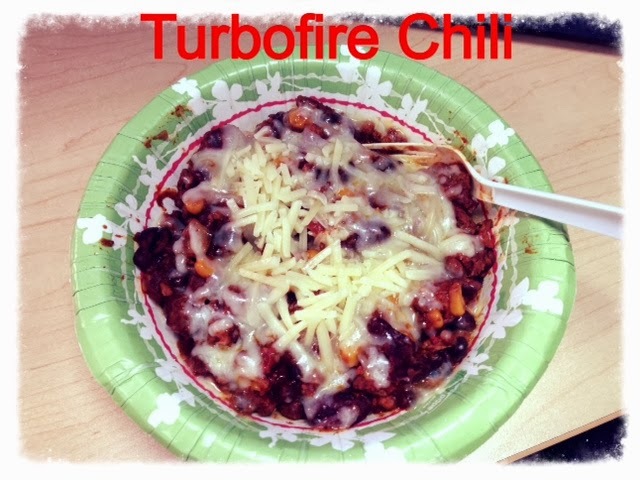 Turbofire Chili is definitely one of my new favorite recipes and I'm actually looking forward to playing around with this each time I make it, switching up the spices and beans and and throwing a little bit of my mum's chili recipe suggestions in there, but still keeping it clean! 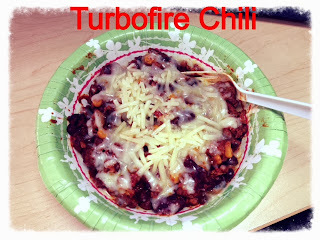 I hope you like this and feel free to experiment with the recipe yourself to make it your own. It is pretty darn good just the way it is right now though! SUPER easy to just throw it all in the crockpot and leave it to cook on low overnight. Brown turkey. Drain and discard any fat. Place all ingredients except cheese into a slow cooker. Cook for 4 hours or up to overnight on low, or 2 hours on high. Top with 1 oz. cheese, if desired.